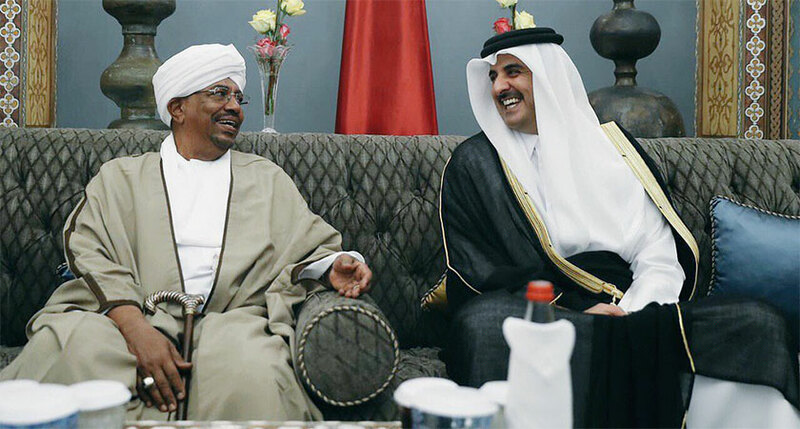 Qatar’s Emir Sheikh Tamim bin Hamad Al Thani called Sudanese President Omar al-Bashir on Saturday to express his support for Sudan after days of anti-government protests, Bashir’s office said in a statement. Anti-government rallies present significant challenge to President Omar al-Bashir. It is very hard to see how the regime can survive this wave unscathed. Opposition figures say 22 demonstrators have been killed since Wednesday, but officials say the figure is much lower. They blocked roads and chanted anti-government slogans before riot police fired tear gas in an attempt to disperse them. He also called for Mr Bashir’s government to agree to a peaceful transfer of power or face a confrontation with the Sudanese people. His government was the last to be democratically elected in the country and was toppled in a 1989 coup launched by Mr al-Bashir, who has since been accused of organizing war crimes and crimes against humanity in Sudan’s western region of Darfur by the International Criminal Court. They started in the eastern town of Atbara, where demonstrators burned the offices of Mr Bashir’s National Congress party. A presidential adviser, Faisal Hassan Ibrahim, said two of those killed in al-Qadarif were soldiers in civilian clothes. He said the protests were being directed by “organized entities”, without giving further details. 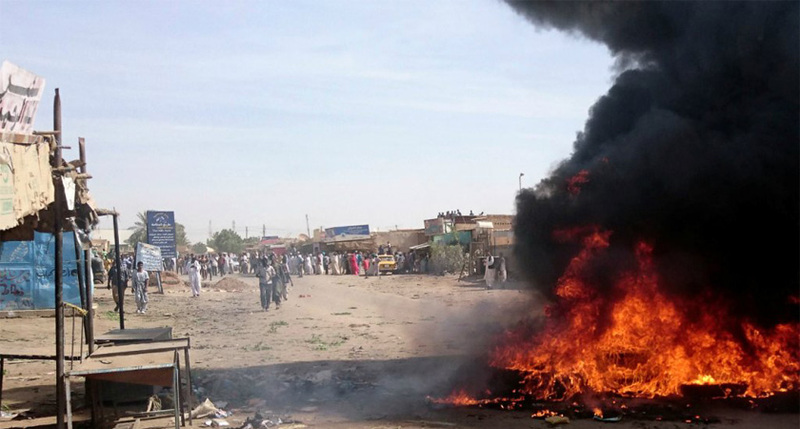 On Saturday AFP quoted witnesses as saying police used tear gas and beat protesters calling for Mr Bashir to step down in Wad Madani, south-east of Khartoum. In 2011 South Sudan seceded from Sudan, taking with it three-quarters of the country’s oil resources. That followed a civil war that cost the lives of 1.5 million people. Meanwhile, continuing conflict in the western region of Darfur has driven two million people from their homes and killed more than 200,000.